Get ready to let your hair down in a fairy-tale-come-true adventure that you have to see to believe. The princess is stuck at the top of a castle—hundreds of feet above the safety of the earth. But if you think you can count on her prince to save the day, think again. Instead, her best shot at winning freedom is you! Well, you and her hair. She’s got miles of it, too. And those luscious locks lead to huge fortunes. We’re talking 50 paylines, a 50,000 maximum payout, THREE feature guarantees, and a guaranteed bonus round feature every 125 spins or less. There’s a lot of bonus details to comb through, so read on! The Princess is the Substitute symbol in Hairway to Heaven, and she can substitute for all other symbols in the game, except for her Prince, who happens to be the Scatter symbol. You’ll want to watch out for the Prince because he’s not just the Princess’s ticket to being rescued. He’s your ticket to a princely sum. Hit three or more Prince symbols from left to right and you’ll trigger one of three game features. Damsels in Distress gives you eight free games, played at the same number of lines and the same bet as the game that triggered the feature. 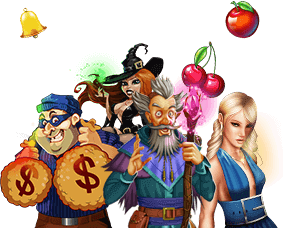 Princess Pays, the second feature, awards you with 10 free gams. And any winning bet that includes a Princess is tripled. Plus you’ll score an extra game if the Princess lands on reel #3. And in Hairway to Heaven, the third feature game, you’ll win 5, 7, 10, 15 or 20 free games. Your win during this feature is multiplied by the game number, so you’ll score 1x payouts for game one, 2x payouts for game two, and so on. Hairway to Heaven includes a special feature guarantee, so while the length of the Princess’s hair might be ridiculously long, you won’t have to wait forever to play a bonus round. In Hairway to Heaven, you’re guaranteed to hit the Damsels in Distress, Princess Pays, or Hairway to Heaven bonus rounds within a maximum of 125 spins. You can follow along with the in-game counter, so you’ll always know if a free game is expected. If it seems to be taking forever to hit a free game, you can attempt to trigger a bonus round sooner if the number of spins remaining is below 125. Jackpots: Hairway to Heaven includes two jackpots—a major one that resets at $1,000 and a minor jackpot with a $250 reset amount. Either jackpot can be won randomly, at the end of a game. Substitute Symbol: The Princess symbol appears on reel #3 during regular games, and she can substitute for every other symbol except for the Scatter symbol, which is the Prince. If you hit a Princess symbol in a winning combination, your prize is doubled. Scatter Symbol:The Prince symbol is the Scatter symbol in Hairway to Heaven. All scatter symbol wins are added to line wins, and they’re multiplied by whatever your bet is. The Prince symbol also triggers one of three special free bonus rounds when you hit three or more of them, left to right.